The Asia-Pacific region is the epicenter for the emergence of a series of mega-regional agreements such as the Trans-Pacific Agreement (TPP), the Regional Comprehensive Economic Partnership (RCEP), and the Pacific Alliance (PA) established in 2011 among Chile, Colombia, Mexico and Peru. However, since early 2017 the region has experience rising protectionism, as seen in the decision of the United States to withdraw from TPP, sending shockwaves across the region. The PA has decided to continue with its process, recently launching negotiations with four associated members (Australia, Canada, New Zealand and Singapore). This is the context of structural changes and uncertainty that the Pacific Alliance must now face. This raises questions such as: What role should the Pacific Alliance play in the new regional architecture in the Asia Pacific? How should the Pacific Alliance prepare to maintain its relevance in a context of mega-regional agreements that include several of its members? 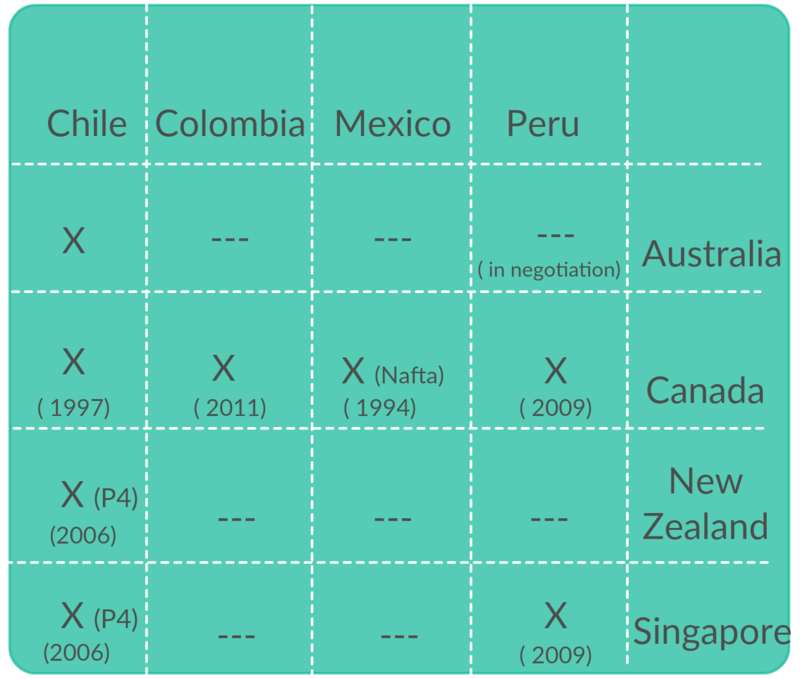 Based on these and other questions, the authors formulated a total of six scenarios that describe possible interactions among the Pacific Alliances and the other mega- regional agreements. These scenarios were tested using GTAP to understand which of them would have a more positive impact on regional exports via both tariff reduction and trade facilitation measures. The results from these scenarios, suggest that the one that would have the greatest effect on exports would be the Integration of the Pacific Alliance economies to the Regional Comprehensive Economic Partnership (RCEP), followed by the Comprehensive and Progressive Trans-Pacific Partnership with the participation of Colombia and China (CPTPP 13). These scenarios offer significant increases in the aggregate exports of the group, both in the face of the tariff reduction and in response to trade facilitation reforms. This article explores the concept of ‘regulatory convergence’ in the context of the evolving literature on legal convergence and divergence. Such a concept has emerged as an overarching horizontal discipline in the latest generation of preferential trade agreements and aims to reduce unnecessary regulatory incompatibilities between countries in order to facilitate cross-border trade and investment. Differing approaches to regulatory convergence found in recently concluded PTAs, or currently under negotiation, are examined. The article has a focus on the ‘regulatory cooperation’ approach embedded in CETA, the path of ‘regulatory improvement’ taken by members of the Pacific Alliance, and the ‘regulatory coherence’ track included in the TPP. We also refer to the TTIP negotiations conducted between the EU and the US. The article offers a broad understanding of the different ways in which regulatory convergence is implemented across PTAs, and the legal complexities resulting from the ambiguity of the concept. It further describes the scope and effects of the different mechanisms used to achieve regulatory convergence, on both substantive and procedural matters. 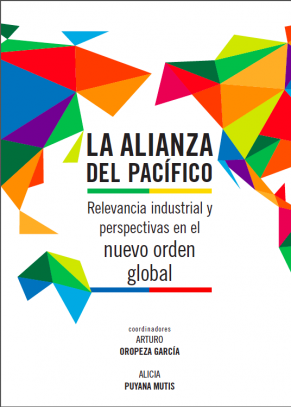 This chapter considers a selected number of the structures and aims of the Alliance of the Pacific (the Alliance). It evaluates some of its key features and provides an outline of its background, internal structure and functioning. It takes the MERCOSUR as a point of reference where appropriate since a conceptual comparison between a MERCOSUR-type free trade area and an Alliance-type free trade area can show the relative uniformity of these types of trading conglomerates but t also their functional diversities. The second part of the chapter endeavours to assess the Alliance’s effectiveness in the achievement of its statutory aims and, where possible, will discuss some proposals for reformulating the structure and functioning of the Alliance’s agreement. Libro editado con contribuciones de 13 autores a través de 12 artículos. The purpose of this paper is to analyse the links between the commitments made under the Trans-Pacific Partnership Agreement (TPPA) and its influence on the deepening of Peruvian relations within the framework of the Pacific Alliance (PA). Given the fact that both agreements contain similar commitments on trade in goods and services, linking the relationship between them deserves particular attention, since they constitute, from the authors’ perspective, the starting point for the generation of new bilateral and multilateral agreements. Este ensayo tiene por objeto analizar la vinculación entre los compromisos asumidos en el marco del Acuerdo de Asociación Transpacífico (TPP) y su influencia en la profundización de las relaciones peruanas en el marco de la Alianza del Pacífico (AP). Efectivamente, ambos acuerdos contienen compromisos similares en materia de comercio de bienes y servicios, por lo que vincular la relación entre ambos acuerdos merece especial atención en la medida en constituyen, desde la perspectiva de las autoras, punto de partida para la generación de nuevos acuerdos comerciales bilaterales, así como multilaterales.